Conceptboard allows you work at different scales with your content: you can zoom in to see the detail, zoom out to see the bigger picture. That’s why it’s so important to learn how to move comfortably through the board. You’ll be zooming in and out of content a lot! 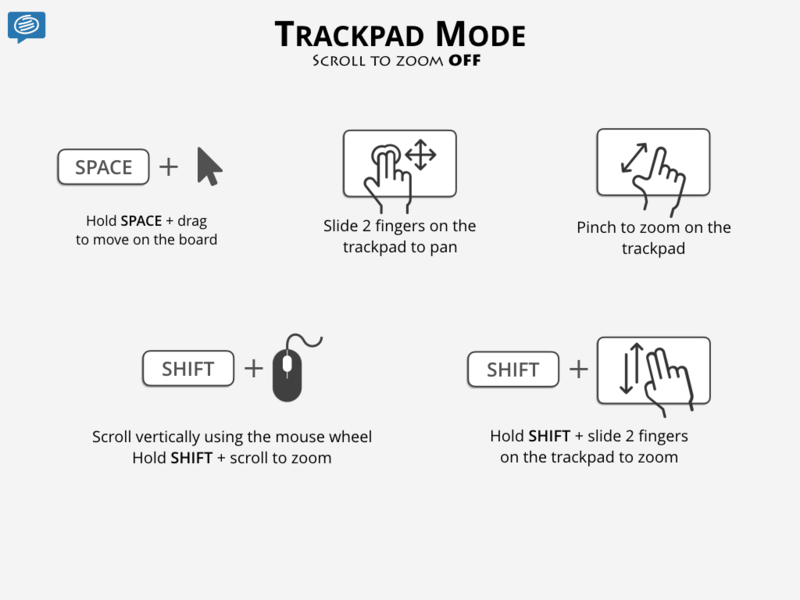 If you’re a trackpad user, you can now use pinch gestures to zoom in and out of the board. 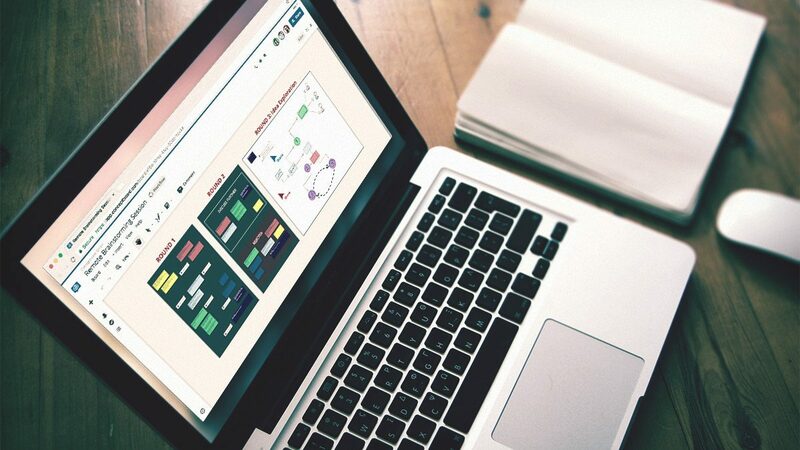 We’ve also put together a short overview of the shortcuts you can use when navigating and zooming in Conceptboard. Quick note: The trackpad mode may depend on the device and drivers you have, so please check the help article link at the end for a complete overview. You can use the + and - keys on the keyboard to zoom in and out of content. Hit 1 to zoom to 100%, and hit 0 to fit all the content on the board to your current view. 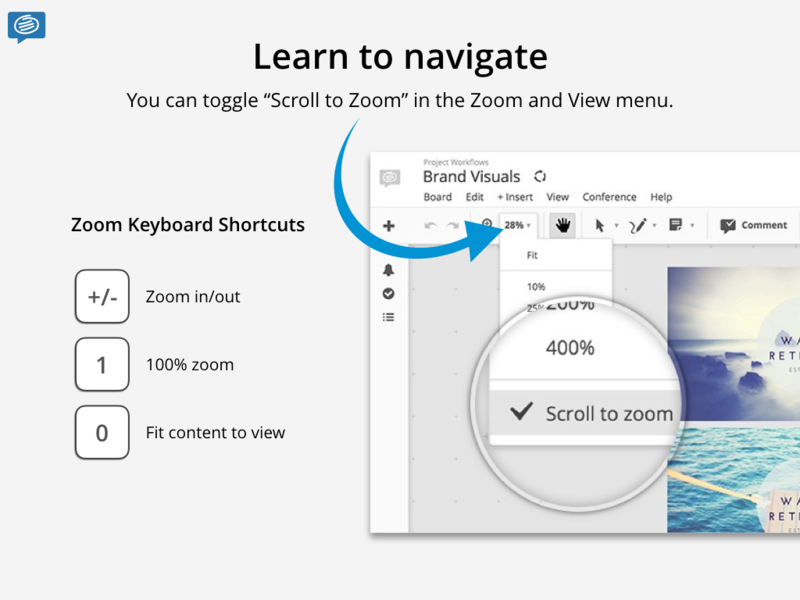 If you prefer using the trackpad on your laptop to navigate the boards, you can turn off “Scroll to zoom” from the Zoom or View menu. Please note: the expected behavior for supported browsers on Windows and Mac can differ based on the mouse, trackpad, and drivers you have installed on your device, so when in doubt, please review this help center article table overview. Something else you’d love to see added to Conceptboard? Let us know on Twitter what new updates you’d like!